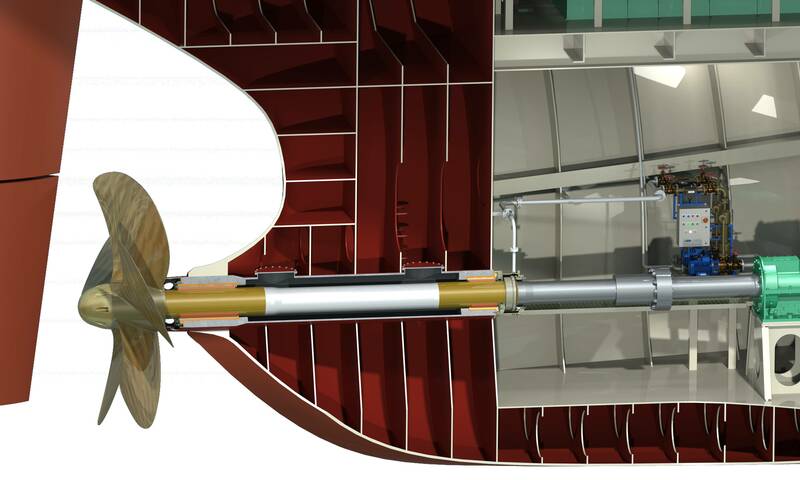 Thordon Bearings’ Jacksonville-based distributor Coppedge Marine has secured an order with Tropical Shipping for the COMPAC seawater lubricated propeller shaft bearing system. 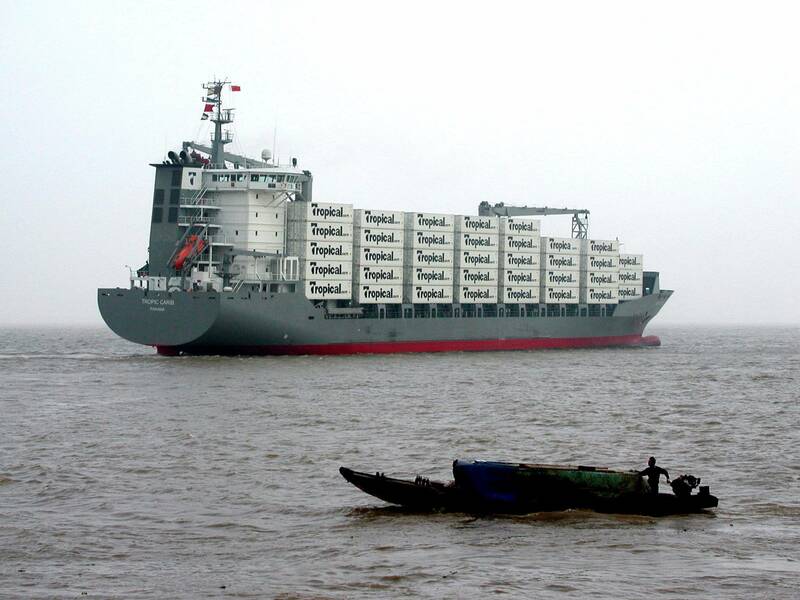 The COMPAC systems destined for two 300TEU box ships under construction in China, at the Guangzhou Huangpu Wenchong Shipyard, will represent a first reference for COMPAC with this ship owner. “Tropical Shipping is a long-standing customer to whom we have supplied various Thordon equipment over the years,” said Ed Coppedge, Vice-President, Coppedge Marine. “We have often discussed the benefits of seawater lubricated propeller shaft systems with the ship owner so are delighted that we can now add the COMPAC system to our scope of supply. In addition to the COMPAC polymer bearings, the Tropical Shipping package includes Thordon’s Inconel-equivalent shaft liners, Thor-Shield shaft coating systems, Thordon Water Quality Packages and a wear down poker gauge assembly. In concert with Coppedge, Thordon’s Chinese distributor CY Engineering will work with the shipyard to ensure the system is installed correctly and optimize the plant to meet Thordon’s 15-year wear life guarantee requirements. Sam Williams, Thordon Bearings’ Regional Manager, Eastern Asia, said, “Orders such as this require close cooperation between our representative looking after the ship owner and our distributor working with the shipbuilder. When we receive new orders, we approach both parties and work to achieve a preference on the part of the owner, and a commercial/technical agreement with the yard. This can be a process which goes through many iterations, depending on the owner’s involvement and on the preferences of the shipyard. 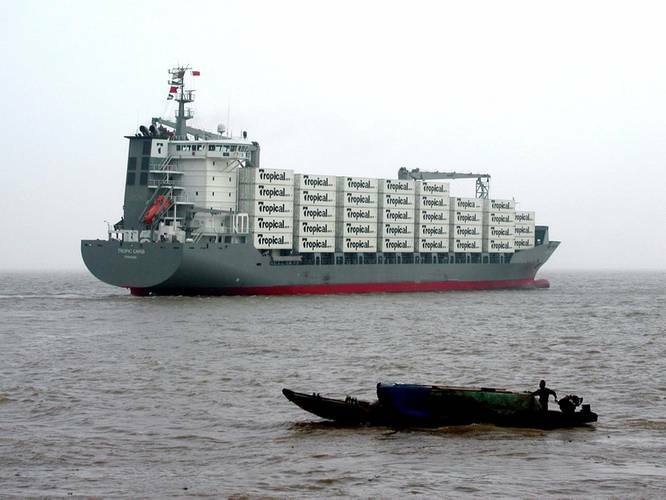 The Guangzhou Huangpu Wenchong Shipyard will also build four 1,100TEU containerships, each of which will be powered by a MAN B&W 6S60ME-C8.5 main engine driving a five-bladed VBS1550-5 Mk5 CP propeller in a COMPAC seawater lubricated shaft bearing arrangement. 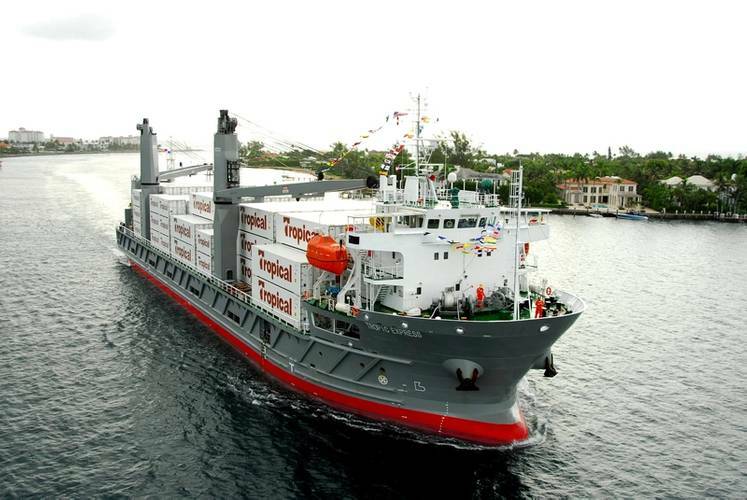 Tropical Shipping’s new vessels will form part of a wider fleet expansion program designed to improve service levels between West Palm Beach, Fla., Halifax, Canada and the Bahamas and Caribbean.